Easter Candy. 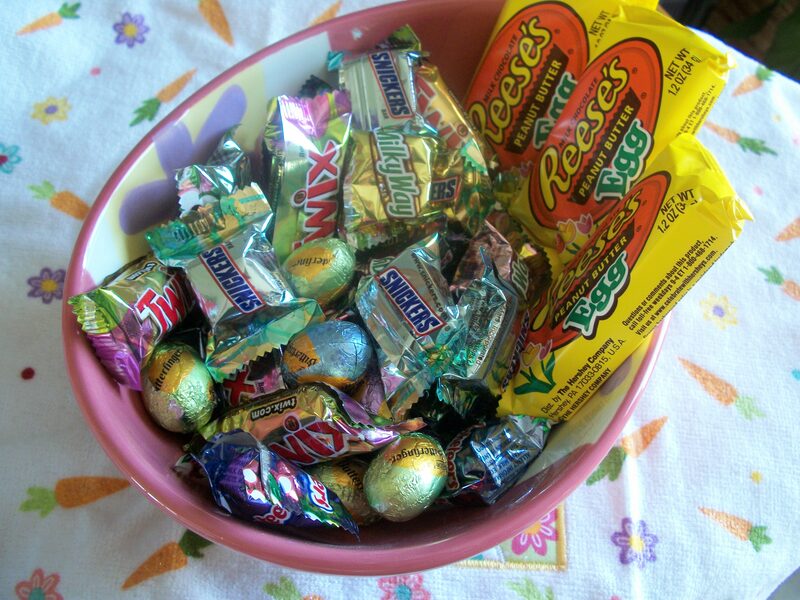 Sweet, pastel-wrapped, innocent-looking Easter candy. It has powerful ways of convincing me to put it in my basket before I even realize what I’m doing. When I got to the checkout at ALDI, I seriously considered telling the cashier “You know, I’ve actually changed my mind. I don’t need this Easter candy.” Which would have been true, but the Easter candy devil on my shoulder totally won the battle. It’s times like these that I’m grateful to have a bunch of co-workers who love to eat just about anything I bring into work, whether it be homemade or from a plastic bag. So I’m taking half of the candy to work & leaving half at home. Except the Reese’s eggs. Nope, I don’t share those.